A daylight basement may only include small windows high up on the walls. 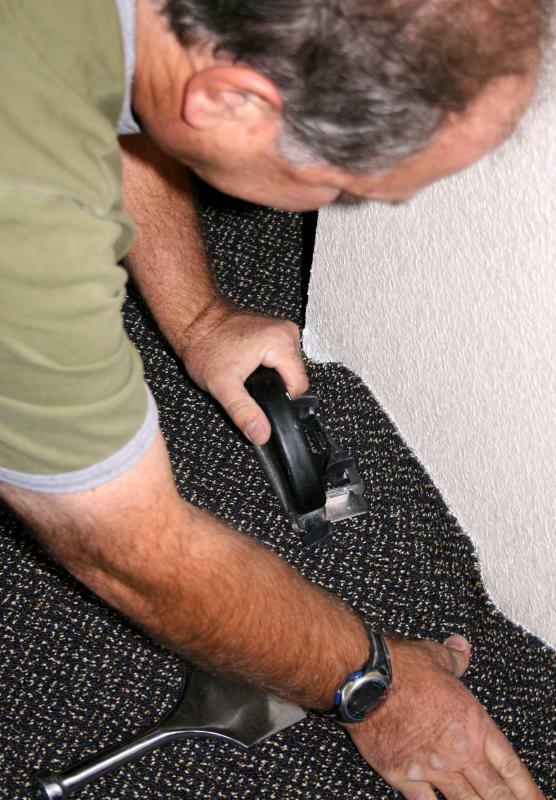 When installing carpeting in a daylight basement, it may be a good idea to waterproof the floor before hand. A daylight basement is a basement space that is partially beneath the ground but partially above ground. Such a basement often exists on homes built on a slope. The basement may have a door that accesses the outside of the house as well as a staircase that accesses the upper floors of the home from the inside, which makes this space especially versatile for many purposes. A daylight basement can be used simply for storage, and utilities such as furnaces, water heaters, and electrical elements are often located in these basements, though the space can also be finished for use as another room in the house. Finishing a daylight basement must be done properly, as many building codes prevent the space from being used for certain living purposes if windows and doors are not properly installed. Very often, a daylight basement only includes small windows high up on the walls, and in order for the basement to be used as a bedroom, full size windows must be installed. This is possible, but it can be difficult to do if the walls are made of concrete. 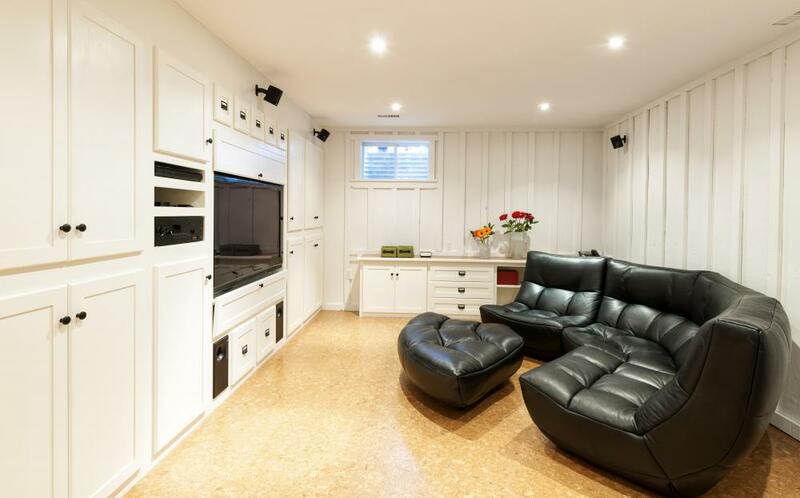 The basement can also be finished as a living room, game room, lounge, garage, and so on. Depending on the orientation of the home in relation to the slope of the ground, a garage door can be installed on one face of the daylight basement so the space can be used as a garage. This project will require little re-finishing of the basement, since the appearance of walls and floors do not need to be aesthetically pleasing. A garage door will need to be installed, and a driveway may need to be laid so vehicles can be driven to the garage door safely. Most daylight basements feature enough windows and even doors that plenty of sunlight can shine into the space. This means the basement can be used as a living room or family room, provided electricity is run to the space and other potentially dangerous items such as furnaces are separated from the rest of the room. The space will need to be properly ventilated and protected from moisture before carpets can be laid and the space can be used for daily living. This may mean installing an air exchanger or larger windows for ventilation, and waterproofing the walls and floor before installing drywall or carpeting that can be damaged from ground moisture. What is an Earth-Sheltered House?